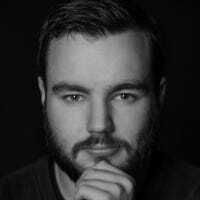 Touch ID and Face ID have made unlocking iPhones super fast and secure. It’s hard for someone to fake your fingerprint or face. Now, let’s do something about those short passcodes. Security is always a balance between actual security and convenience. Before Touch ID, most people used a simple four-number passcode (or god forbid, just used swipe to unlock) because they were quick to enter and provided a small amount of security. Now, most people use a six digit code, but that’s still not very secure. Someone only has to glance over at you entering it once or twice to learn it. 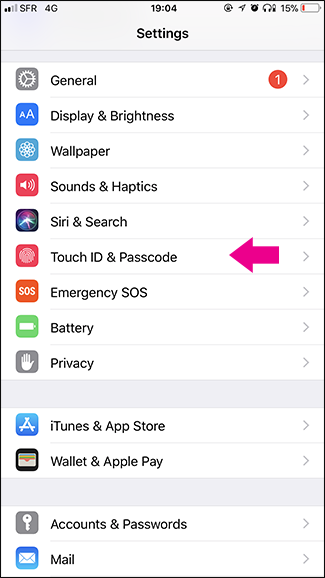 Since Touch ID and Face ID are now so convenient, you can actually use a more secure passcode, or even a passphrase, without inconveniencing yourself too much. I so rarely have to enter my iPhone’s passcode, that the loss of convenience from taking a few seconds longer to enter it once or twice a day is made up for by the extra security. Here’s how to do it. 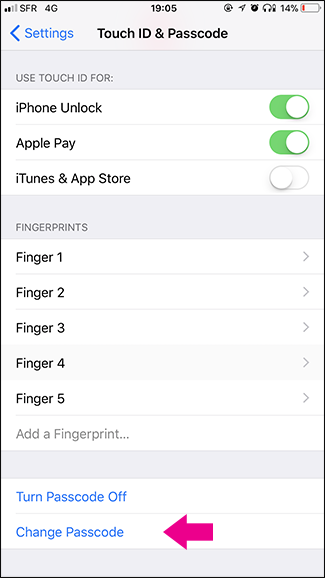 Go to Settings > Touch ID (or Face ID) and Passcode. 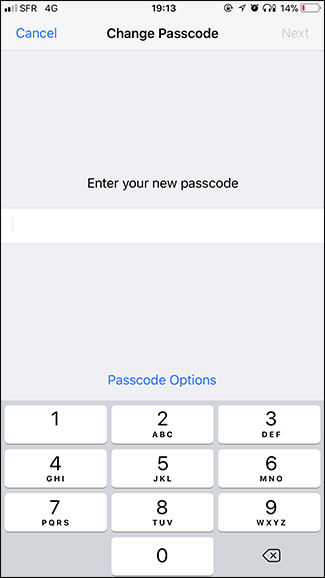 You’ll need to enter your current passcode when you access that setting. 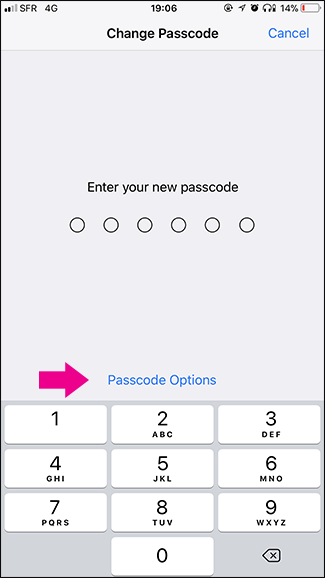 Select the “Change Passcode” option. You’ll need to enter your current passcode once again. 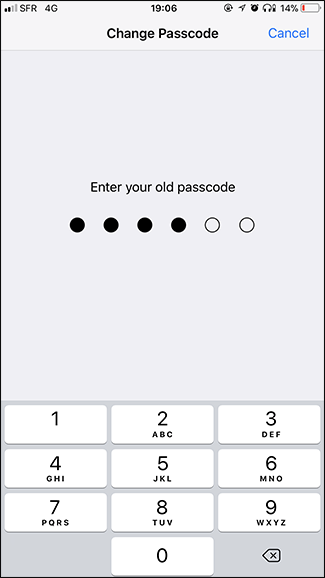 Next, instead of entering a new passcode straight away, select “Passcode Options” at the bottom of the screen. 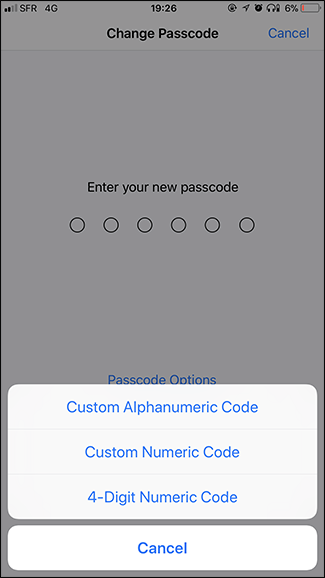 Here you can choose between a Custom Alphanumeric Code (that’s a normal password with letters, numbers, and symbols to anyone who doesn’t speak security), a Custom Numeric Code (a code with numbers that can be any length), and a 4-Digit Numeric Code (bad, do not pick this option). If you want the convenience of just entering numbers with the number keypad, select Custom Numeric Code. If you want to be able to use a strong password that can include any letter, number, or symbol, select Custom Alphanumeric Code. 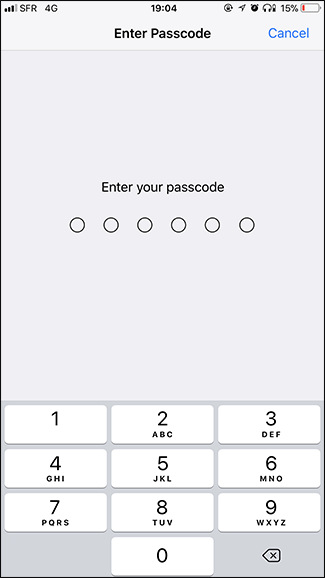 Whatever selection you make, you’ll need to enter your new passcode and then enter it again to verify. And just like that, you’ve got yourself a new, much more secure passcode (or even password) for your iPhone.